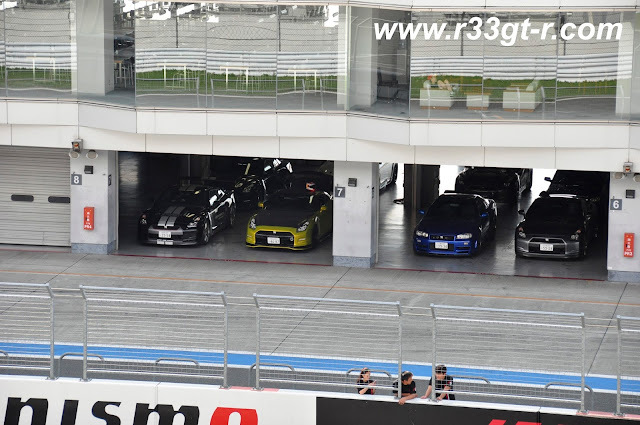 One Man's Lonely Adventures In His R33 Skyline GT-R: GT-R Magazine's "R's Meeting 2017" at Fuji Speedway! 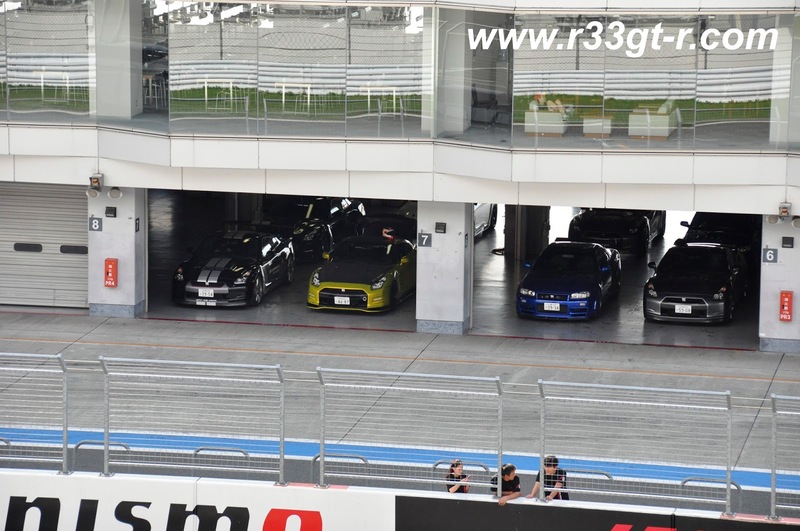 GT-R Magazine's "R's Meeting 2017" at Fuji Speedway! Taking a break from the no doubt boring photos of my car's interior build, here are some photos from last Sunday's GT-R Festival at Fuji Speedway, sponsored by GT-R Magazine and known as the "R's Meeting 2017." The quaint looking Tokyo train station in his neighborhood where Dino told me he'd pick me up at 0700. 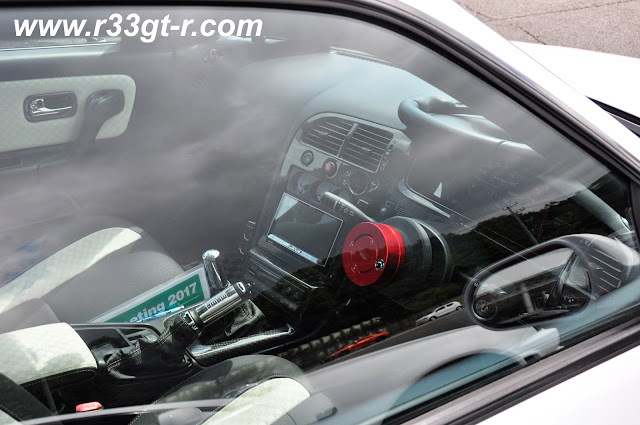 Yep, Mr. White Glasses in the official Speedhunters car. Project something, I forget. Where it says (試作品）those are parts being developed. The others will simply cost you an arm and leg. And close up of the engine bay. You can get a sense of how things were set up. 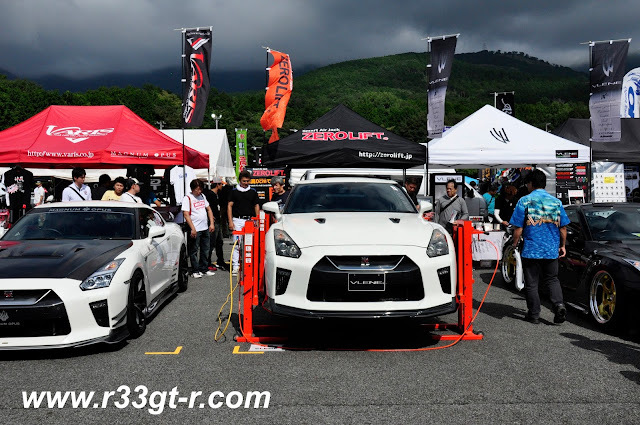 The covered area in the back is where they have the talk show with GT-R famous people (like Ito-san, Watanabe-san, Tamura-san), and the tuners set up tents and park their demo cars in front. NAPREC is basically who every tuner and serious mechanic will send their engine's heads to, in order to be properly prepped. My car's Mine's complete engine also had its head work done here. 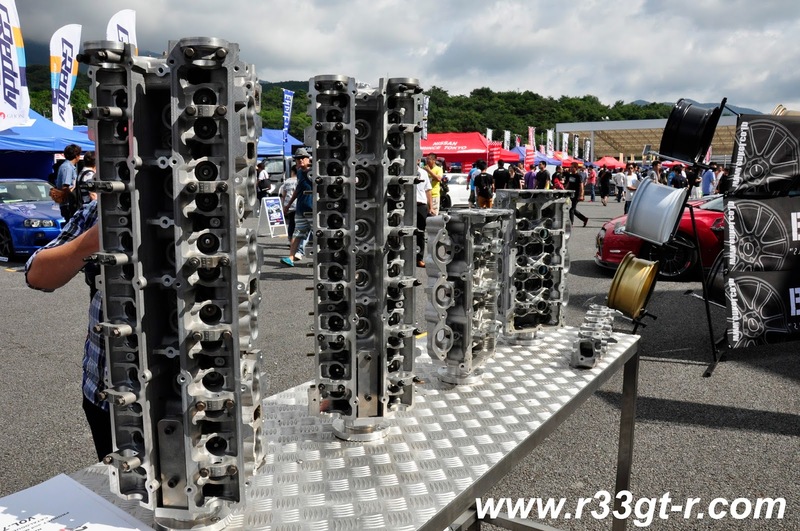 And they do not just RB26 heads but those from other engines. Dino did a nice write up here. If you read that Speedhunters article, you can see the amount of detail done to these heads. 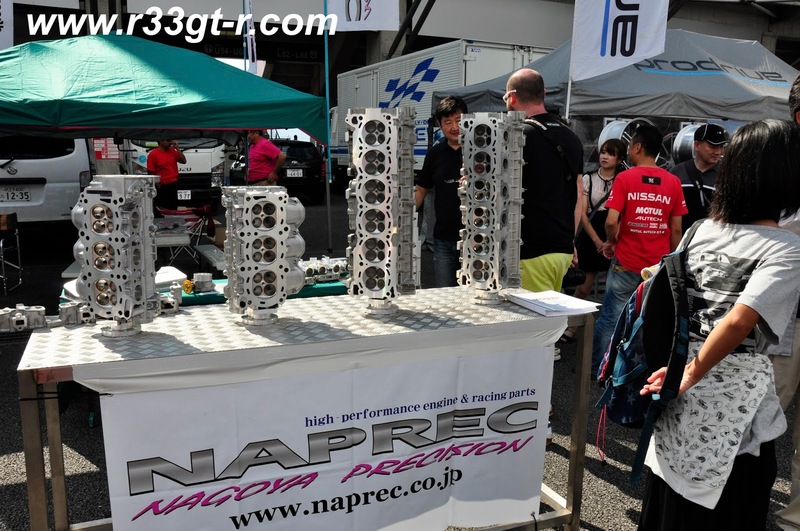 Incidentally, Nagoya-san, owner of NAPREC told me that more of the work done on my car's engine was by hand versus if I had gotten it done now, as they have their new CNC machine now. I have no doubt either method results in a fantastic result. We spotted this contraption across the way. I DEFINITELY need this, even in my small garage it would fit! On the other side was a display of 2 33s, by Jing-R. Long time blog readers may recall this is where I bought my Okada Plasma Directs from as they had done some tweaking to further improve upon the Okadas. 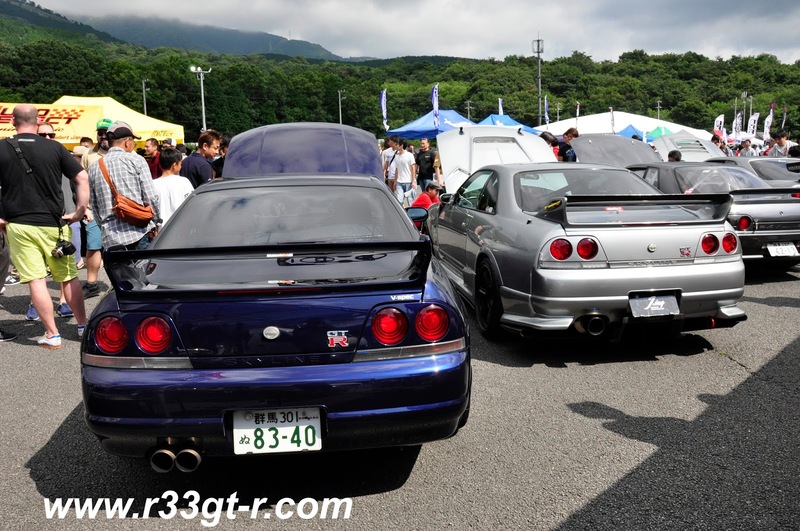 If you read the Speedhunters article, you will see why Dino spent some time hovering over these cars. The blue car had an interesting billet front engine cover...and the silver one some amazing titanium piping work. 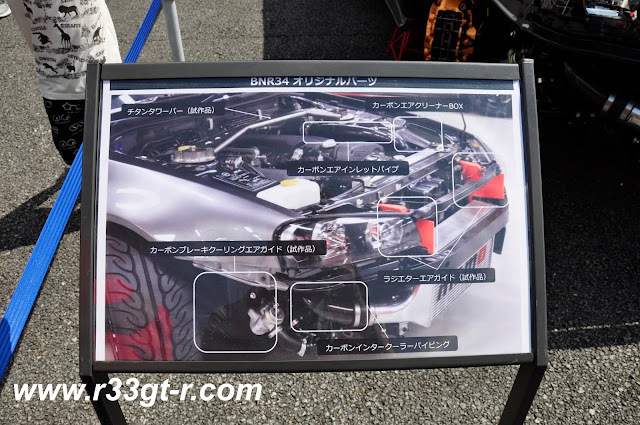 Super clean engine bay...but note those Z-tune type fenders! 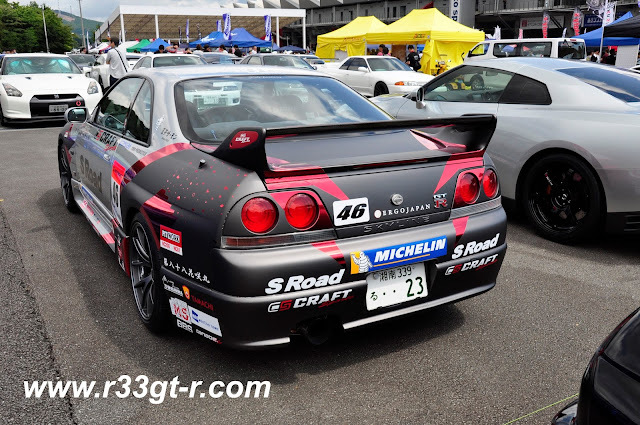 I then stumbled upon Garage Yoshida's R32 GT-R demo car. Interesting car, it was originally a one-off project by S&S Engineering where they converted a GT-R into an automatic transmission car. Hence you will see only two pedals there. 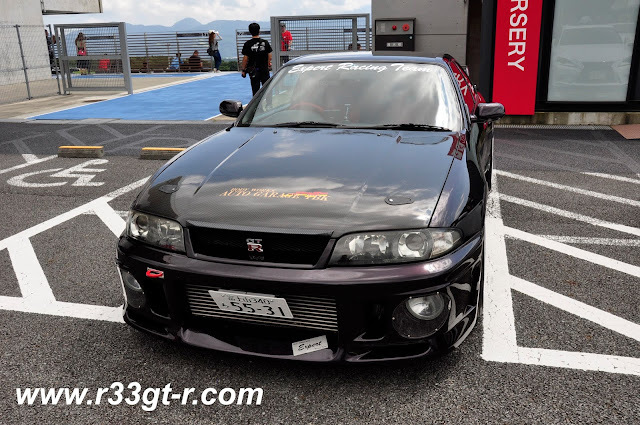 I was interested to see this car in person, because of course either great minds think alike or this guy saw my article in Speedhunters and decided to copy me. Other than the full leather interior, the new carpet was noteworthy. Once I saw this, I was reassured. Even more so after I touched it. Nice try, but this leather is decidedly pedestrian compared to what I used in my car. Whew. In my anger and angst, I lost Dino, so decided to check out what was happening on the track. Ironically, once Dino wore this cap we kept losing him... no longer could we simply look for a red bald head sticking out amongst the crowd. And lots of people seemed to be wearing dark colored hats. Interesting! Looks like a rally car! Here is a close up... yeah not sure I could live with rivets in my bumper but oh well. 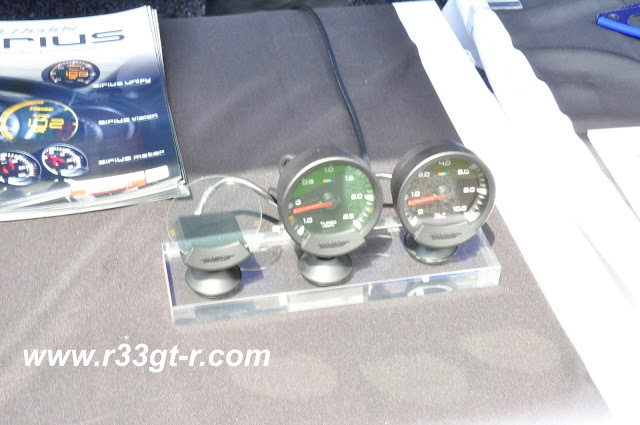 Ok, I'll admit this is an interesting way to integrate aftermarket gauges into the 33...at least he had a Getrag. After. So you can overlay that clear lens on top of your existing gauges to expand their functionality! I want. But I'd never use it to pin stuff to it, so it would just take up space. That's how I justified not buying it. 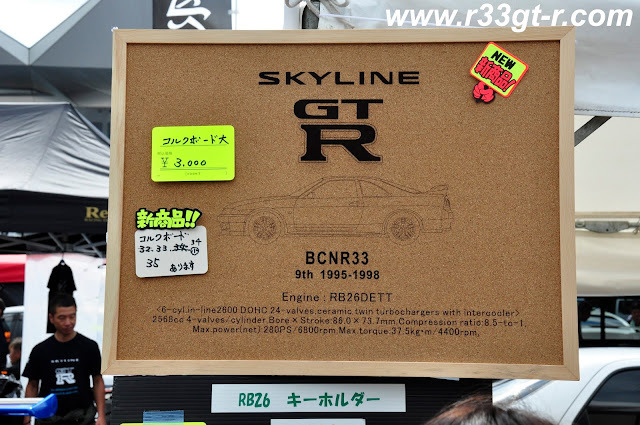 I think it was being sold by Kusaka Engineering, the same guys who do the 1:12 scale model RB26 engines. 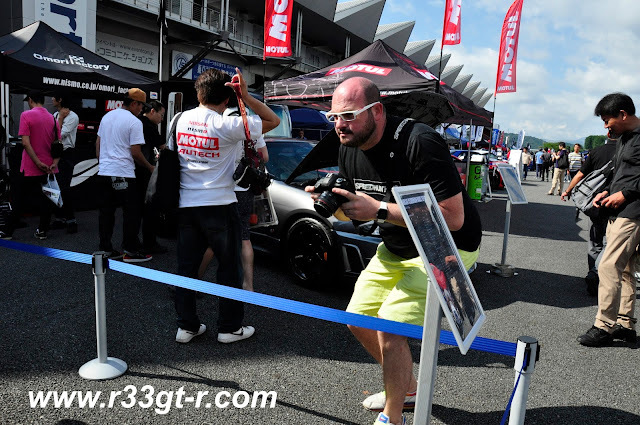 Swinging by the covered stage, we saw that NISMO racing driver Michael Krumm was being interviewed. And yes he speaks fluent Japanese! We caught up with Dino as he was checking out some GT-Rs that were parked BEHIND the display area. So this was certainly a stand-out. Have no idea if the livery is original or copied from a race car, but there WAS that guy with the video camera on a gimbal taking a lot of shots. Unique yes, but not for me. Finally a nice red one! He he. 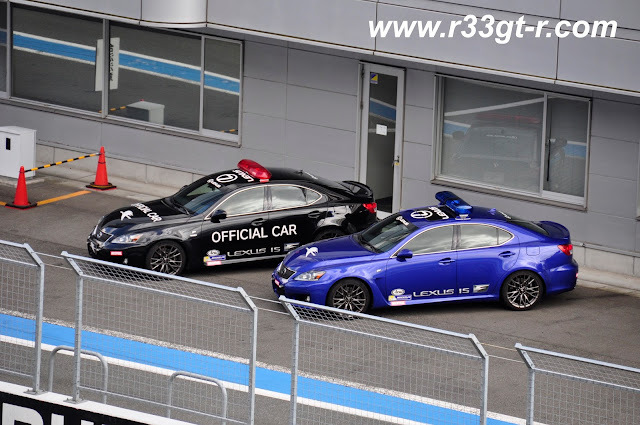 IS-F Pace cars at Fuji! Although Dino briefly considered stopping by to check out the 1JZ drift competition at the drift track, the lack of parking space and the time meant it wasn't to be. 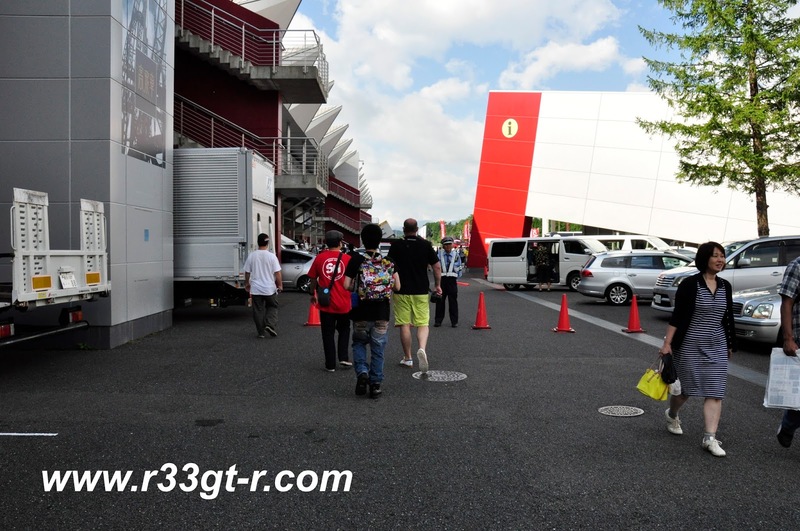 We did stop by the lower parking lot in front of all the pits, just to see if there might be anything interesting. So there you have it. Just as if you had been with us, or at least me. I forgot to mention that I ran into several people I knew and others I had the pleasure of meeting for the first time, even some who knew me from my internet presence! Maybe at next year's I'll be able to run into you? It's unfortunate, I was in Japan but just barely missed R's meeting. I landed on Tuesday 9/12 and left on Thursday 9/14. 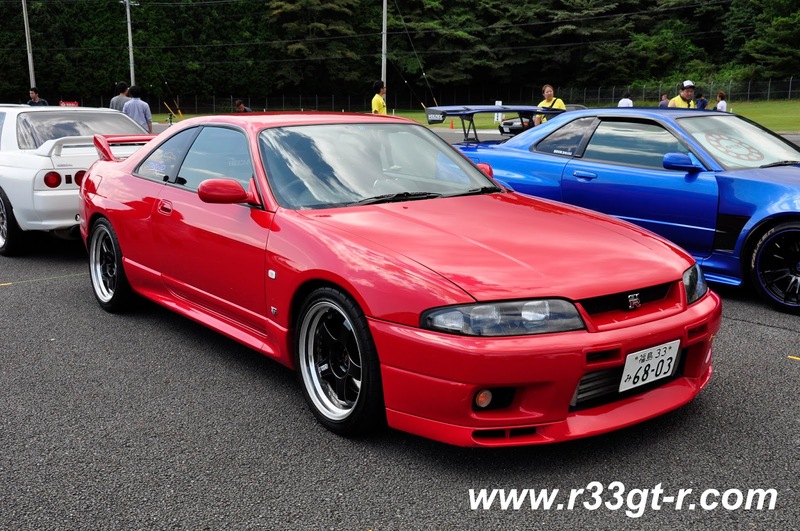 I did drive an R33 though and even stock it lives up to the hype. Rubber is "better" for street cars in the sense that it doesn't allow water vapor to seep through so it is lower maintenance. However, silicone coolant pipes are better if you're willing to put up with adding some distilled water to the overflow every so often. I'm a bit of a snob though, stuff like high mount turbos to me is less refined. 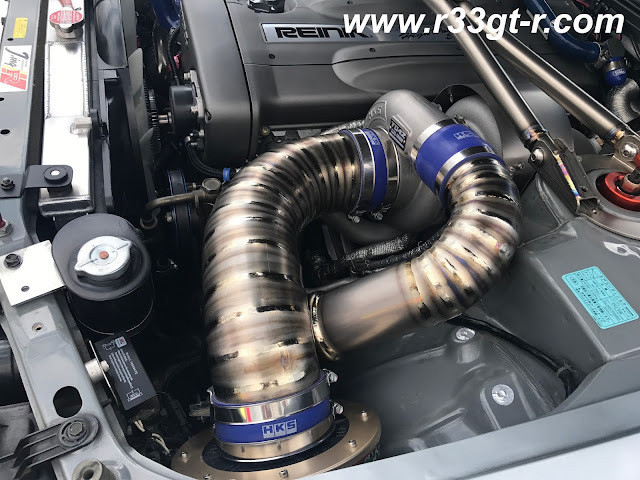 A big single is "better" as you can use more modern turbos and you can feed 2.6L of displacement into a single turbo instead of 1.3L into two, but OEMs don't use high mount configurations because more heat is lost to the engine bay instead of being converted into useful work by the exhaust turbine. If you look at BMW and Mercedes, both of their I6 designs are low mount with either a single twin scroll or two single scroll turbos. Stuff like pod filters, oiled panel filters are also questionable to me as they don't filter as well as paper air filters. Maybe the restriction is less, but sensor(MAF) and engine longevity are impacted. 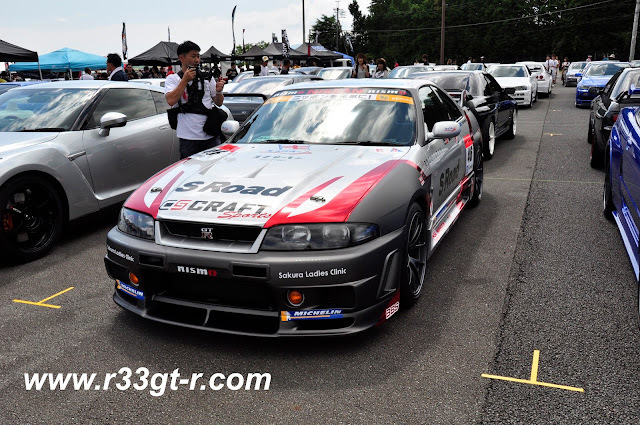 Nice complement to Dino's article on speedhunters (and more 33 oriented :D ). It make the waiting for the end of the repairs on my own 33 a little less difficult . 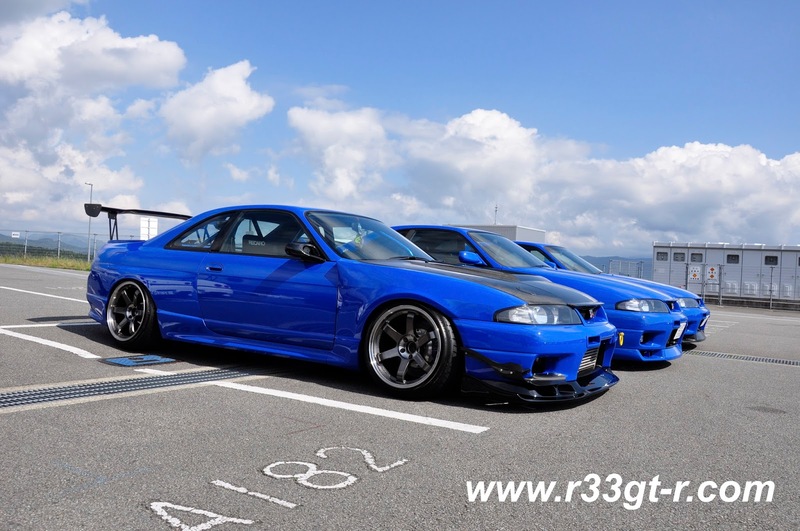 I definitly fall in love with the Le mans color (but not the camber of the first one :p ). 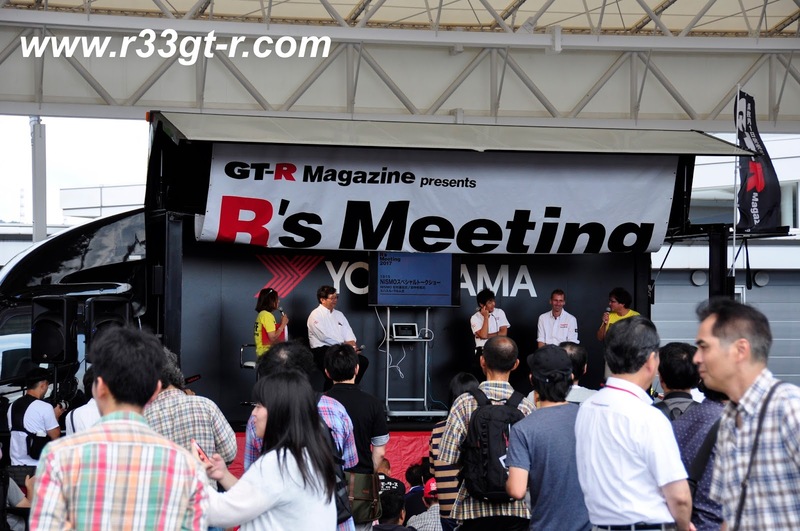 If I'll travel in Japan one day, I think I'll try to make it during a "R" meeting for sure. Anonymous - yes agree on the low maintenance issue. 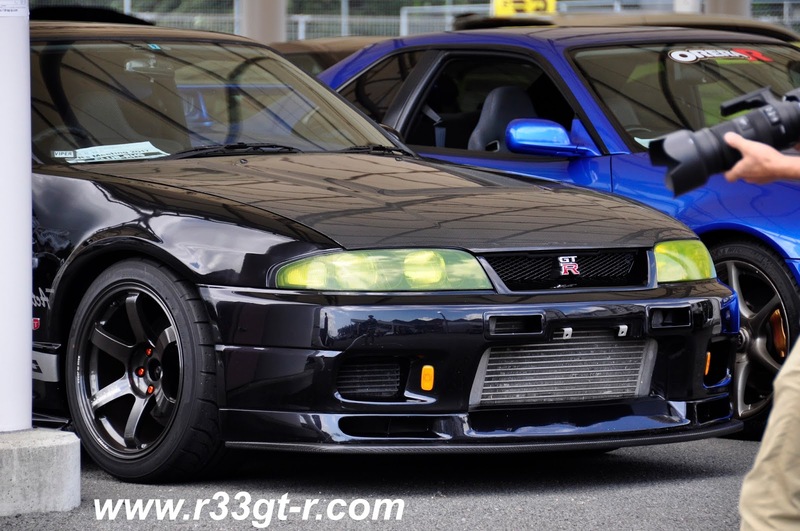 One day I may mess with the turbos again... and glad you were able to drive a 33, although most likely fairly standard? Skodajocky - well let me know if you do make it out here! I suspect that if you have the GT-SS turbos already it doesn't make sense to try and use something different at this point. The high mount stuff is going to be a major change, most of the manifolds out there delete the MAFs. 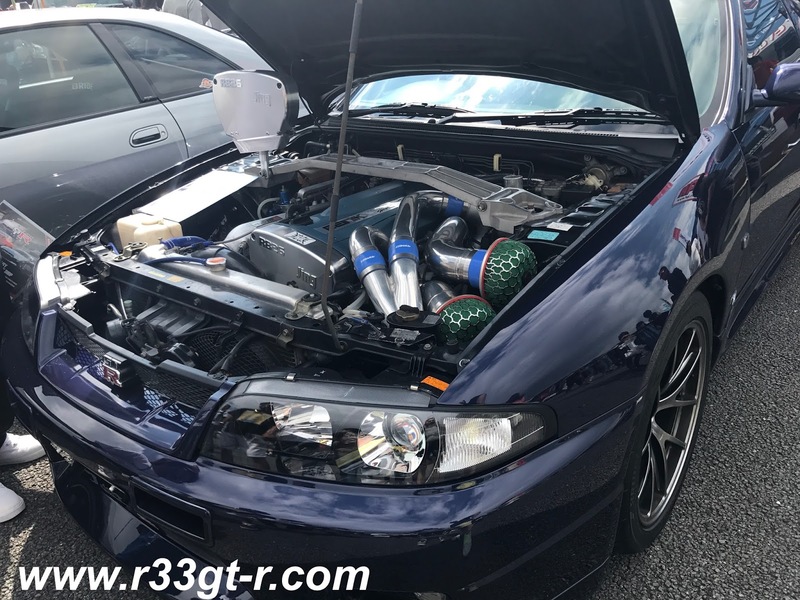 If you want to keep the individual throttle bodies, you don't want to switch to speed density as it relies on either a pressure accumulator or throttle position sensor blending to try and get an accurate load value. This is all very hacky and you will probably give up everyday driveability in the process. Other than that, I would say that a more modern ECU like the Elite 2000/2500 may help quite a bit with enabling better turbo response as the ability to use a wideband O2 sensor means you can run a little leaner outside of the stoichiometric part of the map without worrying that you'll get something wrong and blow the engine. 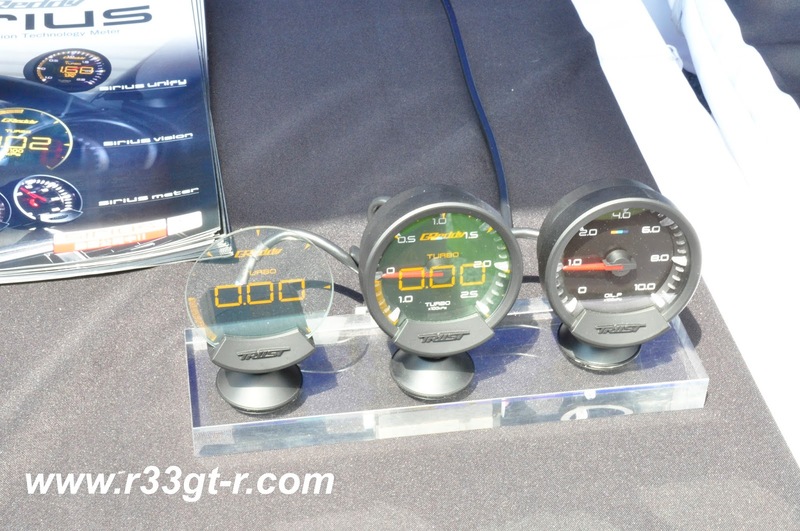 It would also allow for you to run things like HKS VCAM without the VALCON controller or closed loop boost control which reduces boost leakage from the wastegate. I would be careful with this though as the Nissan CAS is pretty complicated compared to a normal cam/crank sensor configuration, a lot of aftermarket ECUs aren't designed to handle that kind of cam-only input with a "fake" crank signal even though it's not an issue until you exceed 8000 RPM on the stock ECU. 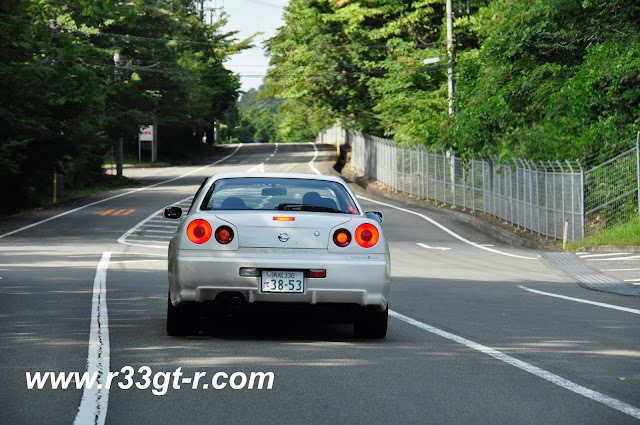 The R33 I drove appeared to be almost completely stock down to the 180 kph speedometer, about 110,000 km indicated on the odometer. I might lack perspective as my experience with cars has basically been a 90s Camry and an F80 M3, but I found the steering to be quite responsive and I'm not sure I really felt the on-center vagueness that you've mentioned before. I did notice that the car likes to tramline a little bit. The steering didn't feel particularly light as some have said, but I think driving an LS400 makes everything feel like it has heavy steering. I liked the smoothness of the engine quite a bit, even though I was mostly just puttering around at low RPM there wasn't any engine vibration. The one I drove had a fairly tired gearbox so I found shifting into gears a little difficult, especially first even from a dead stop. The clutch was very easy and light, no issues there. The turbo lag is definitely evident. I'm not bothered too much by it as I kind of liked the dual personality of the car where it was quiet and a fairly normal car at low speed but if you floor it at about 3000 RPM it starts to wake up and pull. 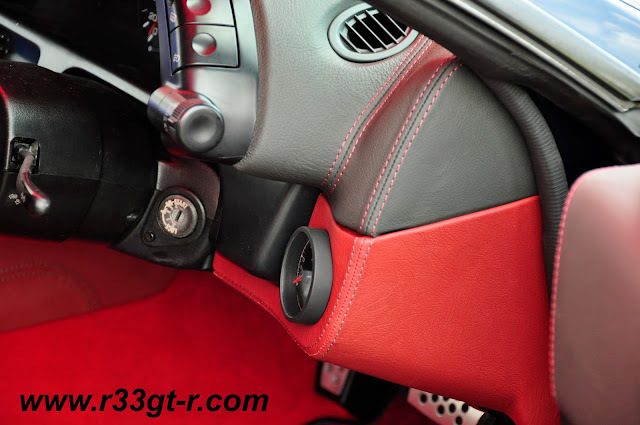 Like most cars from the era it has a distinct sense of more engine noise and less exhaust noise unlike modern cars which are a little too insulated from the engine. It also has noticeable induction noise from the diverter valves and turbo spool which is a lot of fun. 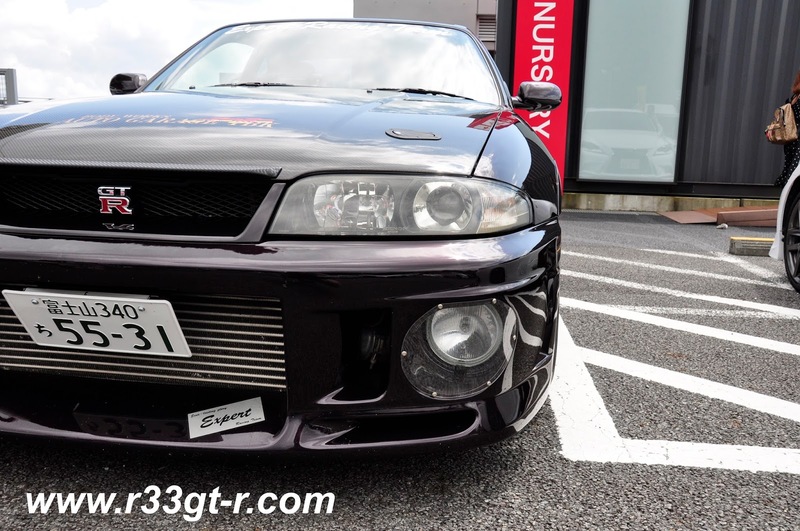 The exhaust was actually fairly quiet and well behaved stock, although I'm guessing something like Tomei's exhaust will change that quite quickly. 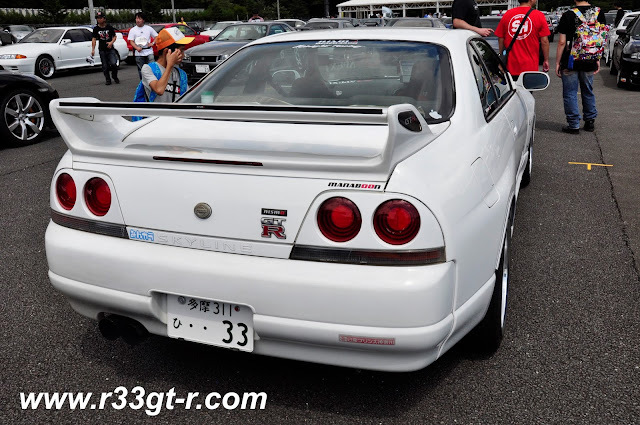 The car itself is quite long, I think the R33 can comfortably fit four people unlike most four seat coupes including the R32. 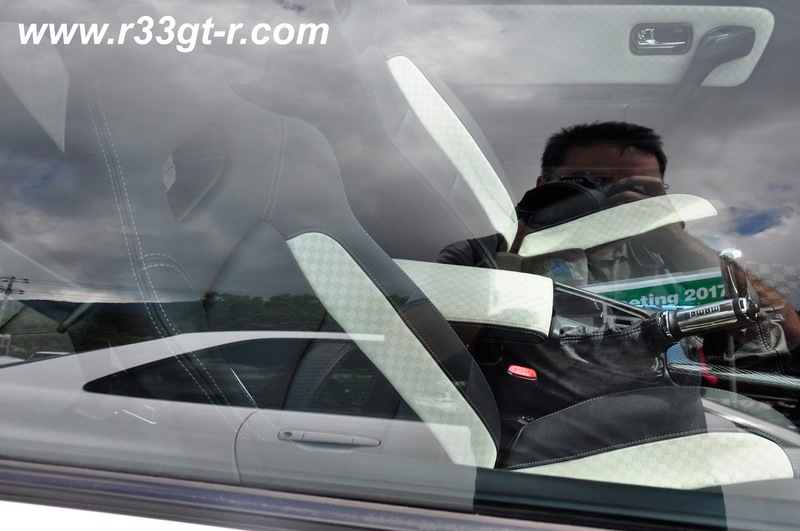 The seats themselves are comfortable with good support, it's a solid GT car with pretty compliant stock suspension despite being the stiffer VSpec model. I didn't try to discover what the car was like to drive quickly though as it was a rental car and I wasn't interested in paying a 10k USD deductible. But as an everyday car I found it to be what I was looking for.